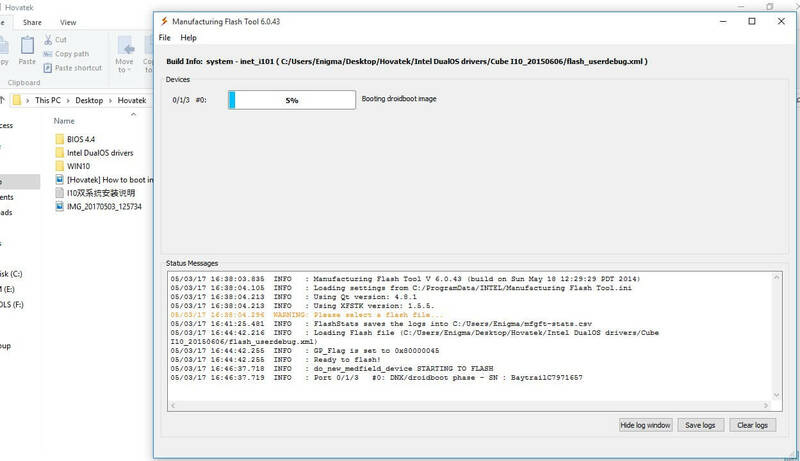 This step-by-step guide will explain how to use Manufacturing Flash Tool. 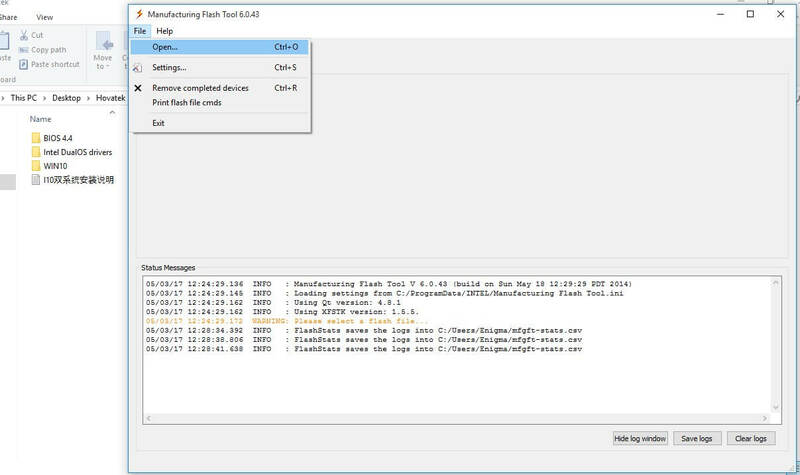 This Intel phone flash tool is used to flash Intel based devices like Dual OS tablets (Android + Windows). 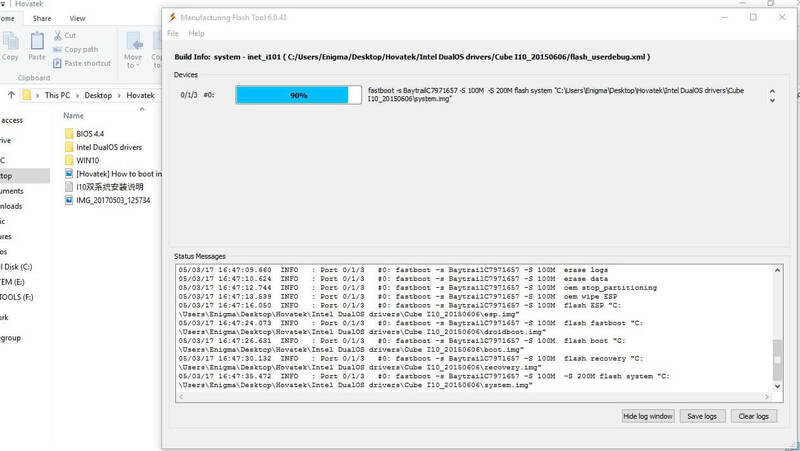 The tool should now display Ready to flash! 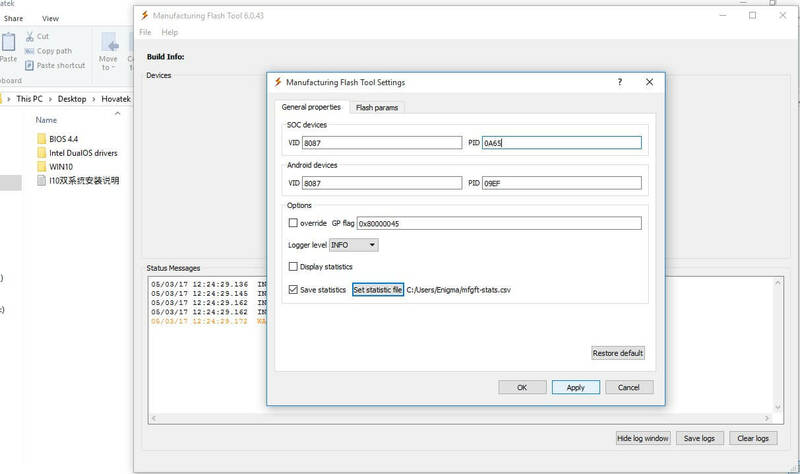 Quote: In this video tutorial I'm going to explain how to use manufacturing flash tool to flash an Intel based phone. For this particular guide, I'm going to be using a dual OS tablet, a cube i10. 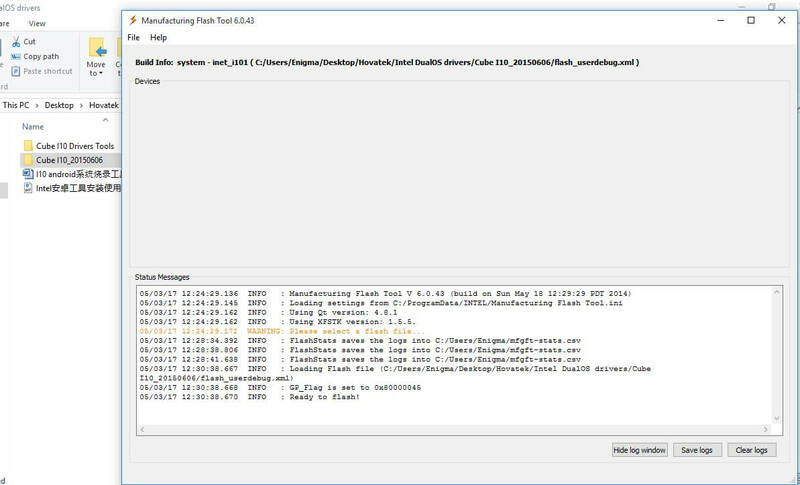 The things you're going to need are the manufacturing flash tool setup, iSoc USB driver, Intel Android driver setup and also the Android firmware for the device you intend to flash. Now, the first thing you're going to want to do is to install the drivers so I'm going to just run this, select yes, click on next, I agree, next, next, next, install click on OK.
Make sure the device is disconnected i.e the device you intend to flash. Ensure it is disconnected then you click on OK so this particular driver is going to take a while to install but you just have to be patient anyway, all right? In the meantime let me fetch some other info I'm going to be needing which is the.. OK! now, when you get this particular prompt you select install this driver software anyway. The reason why you're getting that is because you're installing an unsigned or untrusted driver alright? So Windows tends to suspect that the driver might not be trustworthy so in that kind of situation, just select install anyway. Its nothing to worry about ok? This driver might take a while to get installed so just be patient alright, I have the prompt again, I'll click the same thing. You might get the prompt several times so just keep clicking install anyway. Alright, I got just two then you click on next and finish. So I'm done installing my iSoc USB Driver, next I'm going to install this driver. Now, when I try to install this driver, I'm going to get this app has been blocked for your protection okay? So the way to bypass this particular issue is to run command prompt as administrator then to run the installer. So I'm going to launch command prompt sorry..sorry about that. I'm going to launch command prompt I'm going to right- click from the results. Run as administrator and I click on yes. 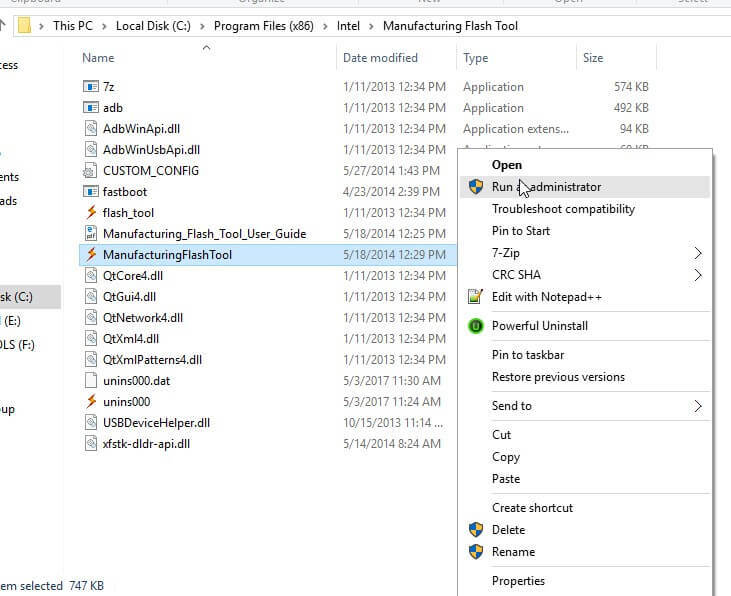 Now, this particular folder I am in (Hovatek) is located in the desktop so I'm going to navigate to the desktop from my command prompt so I have CD\ Now, I'm going to guide you through these steps. Lets start from C alright this is where we are alright? We are going to Hovatek folder so next thing you'll want to type is cd users . Press Enter. That is equivalent to me double-clicking the users folder. cd a . That is the equivalent of me double-clicking the a folder. cd desktop . That's equivalent to me double-clicking the Desktop folder cd hovatek . Equivalent to me double-clicking the Hovatek folder cd cube i10 . So now I just need to type the full name of this particular driver and add the extension which is .exe and then run but to make it easier for me I'll just copy the name, right-click here automatically gets pasted then I'll add .exe and then I press Enter all right so that bypasses that window has blocked this app error. Just keep clicking next to install. Install this driver software anyway This time around, I'm getting this same prompt several times. Install anyway.. install anyway.. install anyway.. alright! So I have this installed so I have my two drivers installed [closing] now iSoc USB and Intel Android driver so next I'm going to install the manufacturing flash. To do that, I just double-click the installer. Click yes when prompted next, I accept, next, next, yes. I already installed it earlier on so I'm just re-installing ok? I'm just trying to give you a start to finish idea of the entire procedure. So now, with this one ticked, I'm going to click on finish so that its going to launch the tool but if you want to launch it manually any other time just go to your desktop. 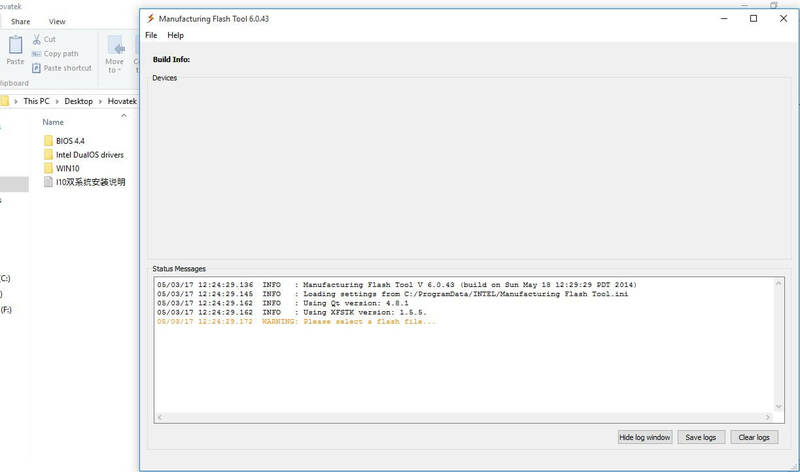 You should find a shortcut or you go to your Program Files folder, you can find the tool there and then launch from there alright so now I have my Manufacturing Flash tool open. a search for that. I also need to enter the VID and PID for the particular device you wish to flash so these are the values for me. I already entered these previously so I just click Apply and OK alright? So next thing you'll want to do is to load the firmware alright? 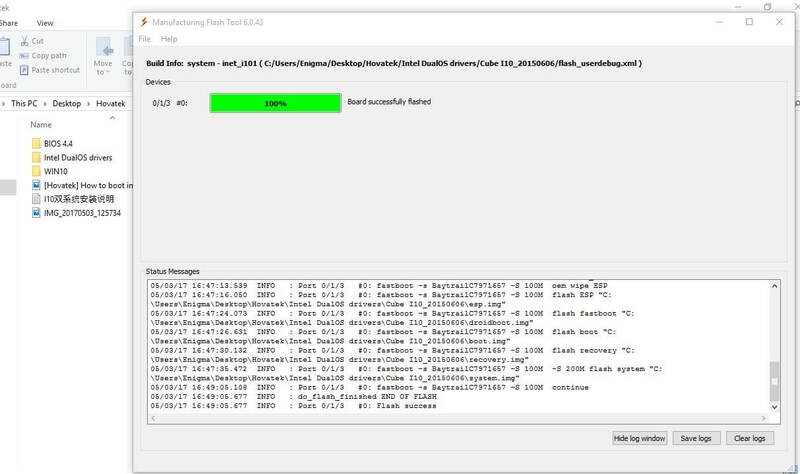 Don't forget that this particular tool flashes Android and this is a Dual OS tablet I'm using which is Android and Windows alright? I'm going to be flashing the Android section or the Android partition of this tablet so just in case you're using a smartphone anyway, its the same procedure i.e an Intel powered smartphone, it's going to be the same procedure. Now, to load the firmware, you click on File - Open. Now, you navigate to the location where you have the firmware. 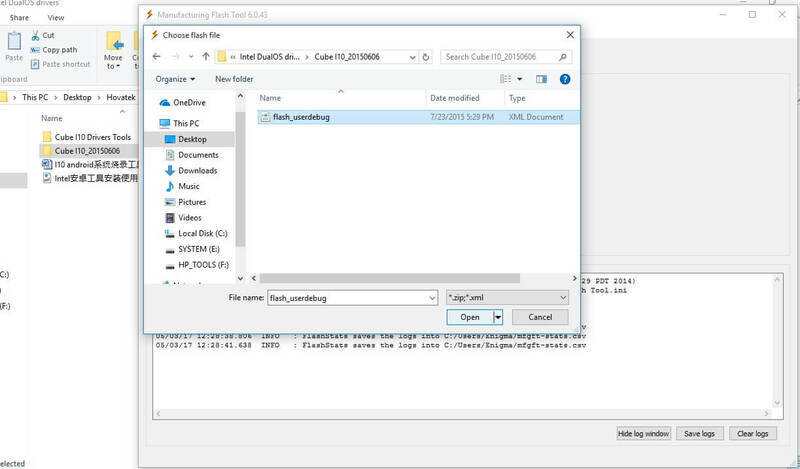 Mine is in the Hovatek folder - Cube i10 here so you select the flash user debug file, its an XML file and then you click Open. waiting for fastboot command alright so that's what I have on the screen of my device so I am just going to connect it to the PC now via USB cord and you can watch the tool respond.